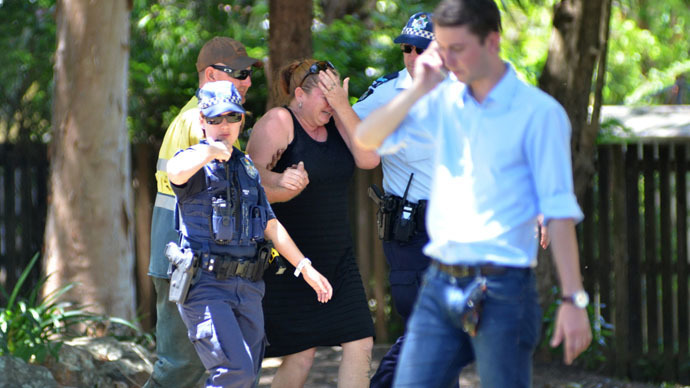 An Australian mother has been arrested for murder in the mass killing of eight children who were found dead in the city of Cairns, seven of whom were hers. The eighth child was her niece. The woman’s name has yet to be released by law enforcement, but police said the 37-year-old has been arrested for murder. However, she has not been charged, and the Queensland Police Service noted she is "assisting" authorities with their investigation. Detective Inspector Bruno Asnicar said the mother is now awake and conscious after suffering from stab wounds and being hospitalized. To reiterate, the 37-year-old woman assisting police with our enquiries into the #Manoora deaths has NOT been charged. According to the Associated Press, authorities have not said exactly how the children, who were found dead in the woman’s home, were killed. They did say they are inspecting multiple knives from the house as potential weapons. Meanwhile, Reuters described the murders as “a mass stabbing.”The children ranged in age, from 18 months to 15 years old. “We’re not looking for anybody else — we’re comfortable that the community at large is safe,” Asnicar said to the AP. While the woman is currently talking to police, a coroner is conducting autopsies on the children to establish their cause of death. The arrest comes the day after the children were found dead in the mother's home. Local resident Lisa Thaidai said that another sibling, a 20-year-old, was actually the one to discover the situation. "We're a big family ... I just can't believe it. We just found out [about] those poor babies," Thaiday said, as quoted by AFP. Cairns Post reporter Scott Forbes stressed that the area is very close -- in fact, he said the people on that street are related. "All of the people here are actually related to the people who were involved in this incident," he told the Australian Broadcasting Corporation. "So they're all reeling at the moment. But telling us that she was a very, very protective, very proud mother who loved her children dearly," he added. "All parents would feel a gut-wrenching sadness at what has happened. This is an unspeakable crime. These are trying days for our country," Abbott stated. The tragedy comes as Australia is still in shock following a deadly siege in a Sydney cafe on Monday. It resulted in two hostages being killed along with the gunman after police stormed the cafe some 16 hours into the stand-off.